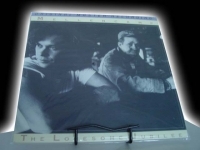 "John Mellencamp, Lonesome Jubilee - 200 Gram - Half-Speed -Numbered 253 and lower"
MFSL Anadisq 200 Gram 1/2 Speed LP "Out of Print, Last Copies". Originally released in 1987, this release showcases Mellencamps heartland rock infused with a strong dose of acoustic and country instrumentation. Tracks Include: "Paper In Fire" "Down and Out In Paradise" "Check It Out" "The Real Life" "Cherry Bomb" "We Are The People" "Empty Hands" "Hard Times for An Honest Man" "Hot Dogs and Hamburgers" "Rooty Toot Toot"